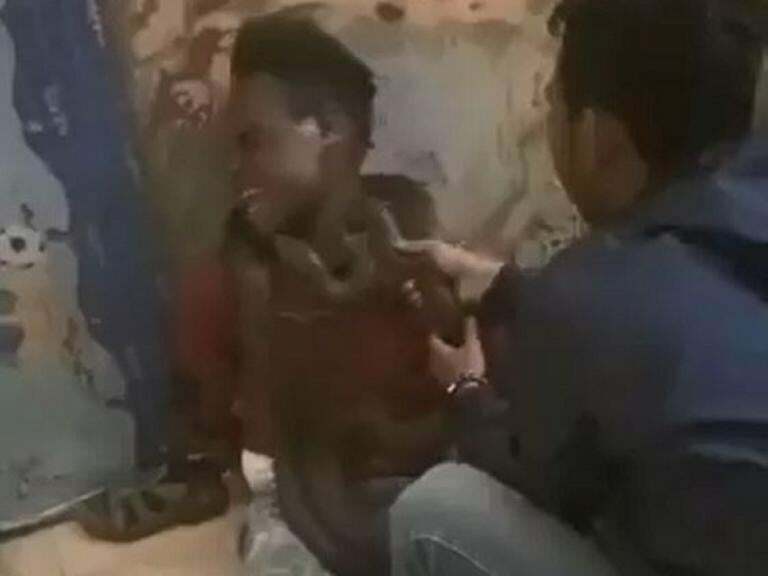 Police in Indonesia have apologised for using a live snake to interrogate a suspected thief after video of the incident was shared widely online. Footage shows the man screaming in terror as his interrogator laughs and repeatedly pushes the creature’s head into his face. Police in the country’s easternmost Papua region apologised but attempted to justify the officer’s actions by saying the snake was not venomous and that they had not beaten the man. Veronica Koman, a human rights lawyer active in Papua, said the interrogation methods violated police policies as well as several laws. She said there had been several reports of police and military using snakes to terrorise Papuan detainees. Sam Lokon, a member of the West Papua National Committee, which advocates for independence from Indonesia, was put in a cell with a snake and also beaten after being arrested in January, Ms Koman claimed. Police indicated the incident with the alleged thief in the video happened recently amid a crackdown on petty crime in Jayawijaya district. Ms Koman said the fact the footage was shared so widely forced the police into a “very rare” apology. The footage shows the dark brown snake, at least 2m long, wrapped around the handcuffed suspect’s neck and waist and an officer pushing its head into the man’s face as he becomes increasingly hysterical. Officers appear to be asking how many times he has stolen mobile phones. Papua police spokesman Ahmad Musthofa Kamal said the officers involved were being questioned by an internal affairs division of the national police. The events are likely to further inflame tensions in a region where insurgency has simmered since the early 1960s, when Indonesia took control of the western half of the island of New Guinea, formerly a Dutch colony. Police and military have carried out a sweeping crackdown on independence supporters after rebel fighters killed 19 people working on a construction site for a trans-Papua highway in December.